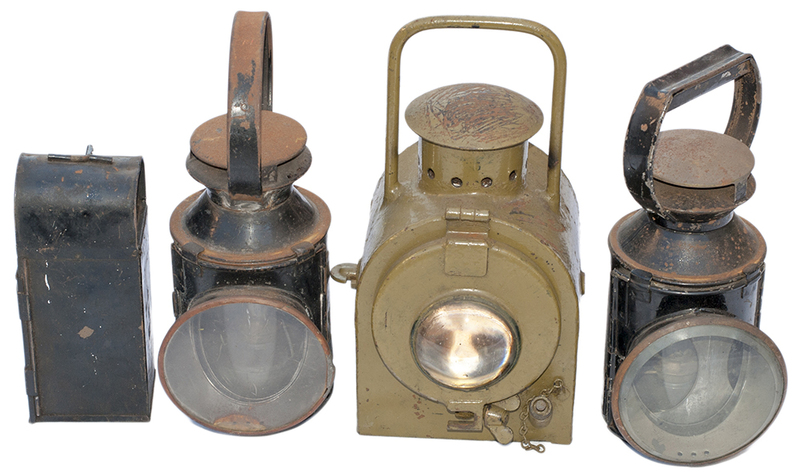 A Lot Containing 4 Lamps To Include BR(E) Gauge Glass Lamp. BR(Sc) Guards Handlamp. BR Standard Handlamp. Unusual Pattern Loco Lamp.